Christmas Character Vacation Tees Just $13.99! Down From $28! You are here: Home / Instagram / Christmas Character Vacation Tees Just $13.99! Down From $28! For a limited time only! Head over to Jane where you can score these Christmas Character Vacation Tees for just $13.99 down from $27.99! Shipping is $3.99 for the first item and $1.99 for each additional item! 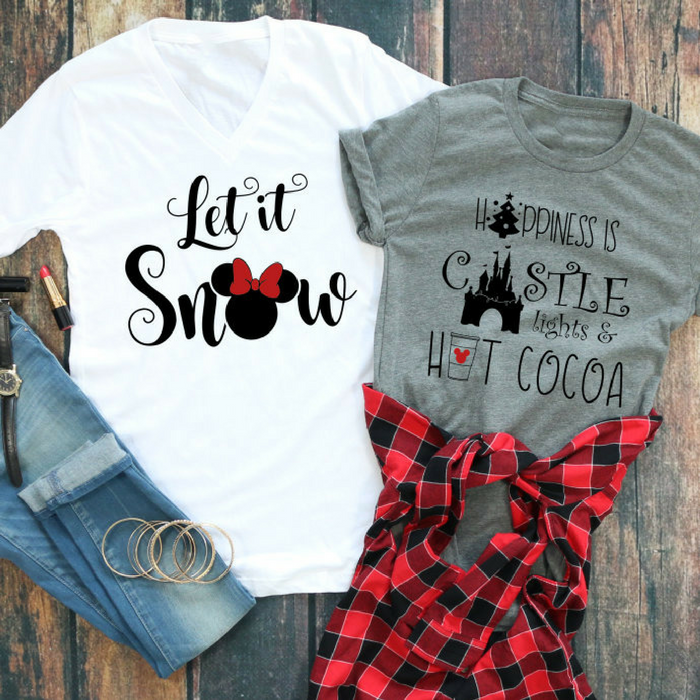 If your holiday plans include a visit to the happiest place on earth – these tees are for you! Our tees are so soft you won’t want to take them off and you will find any excuse to wear them. This fun holiday tee looks great under your favorite flannel with your skinnies or put it on with your leggings and boots. Anyway, you mix and match you can’t go wrong!